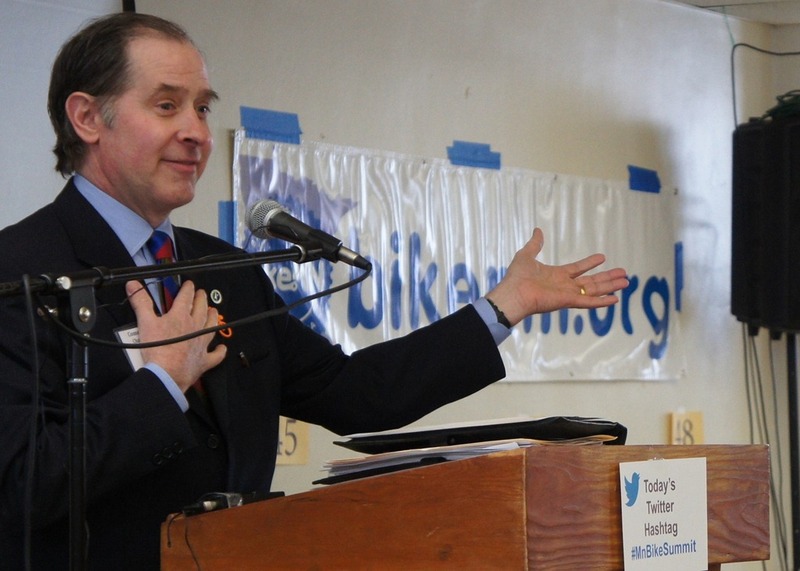 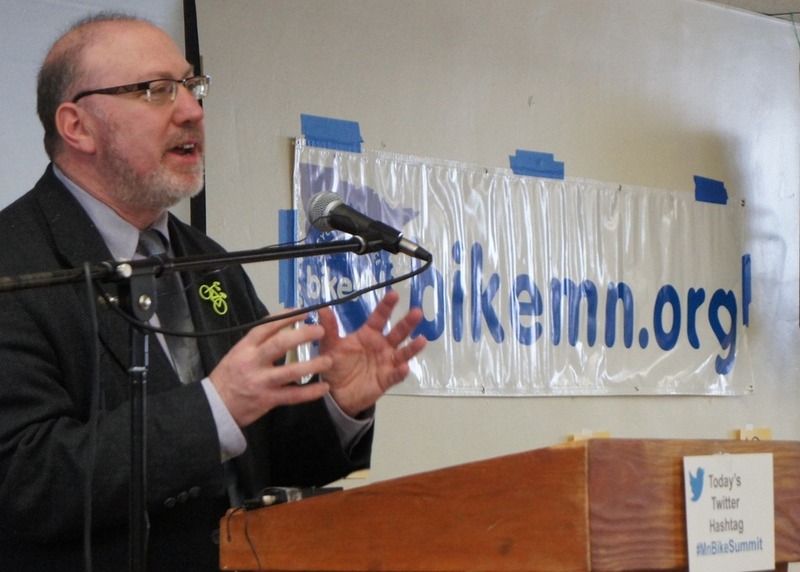 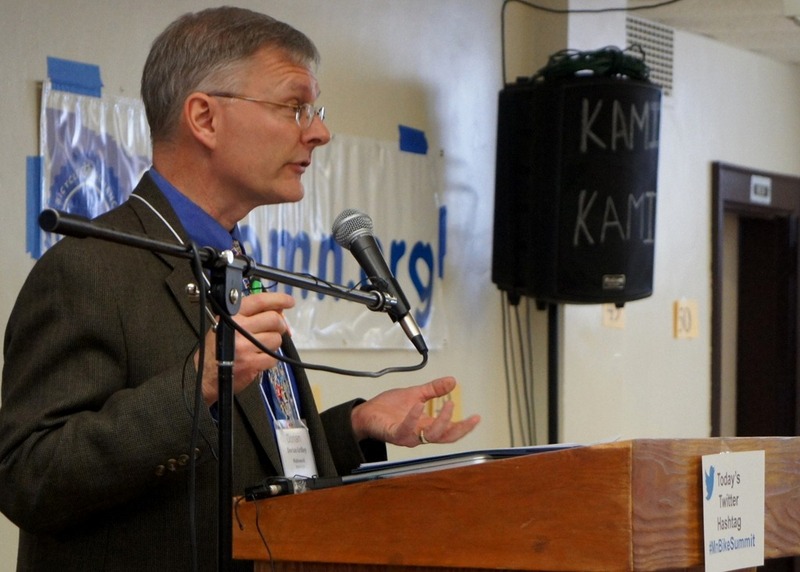 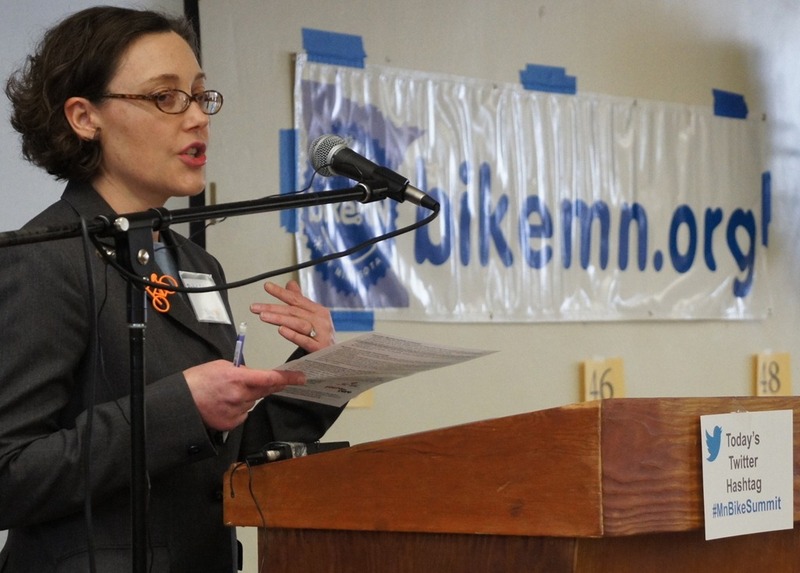 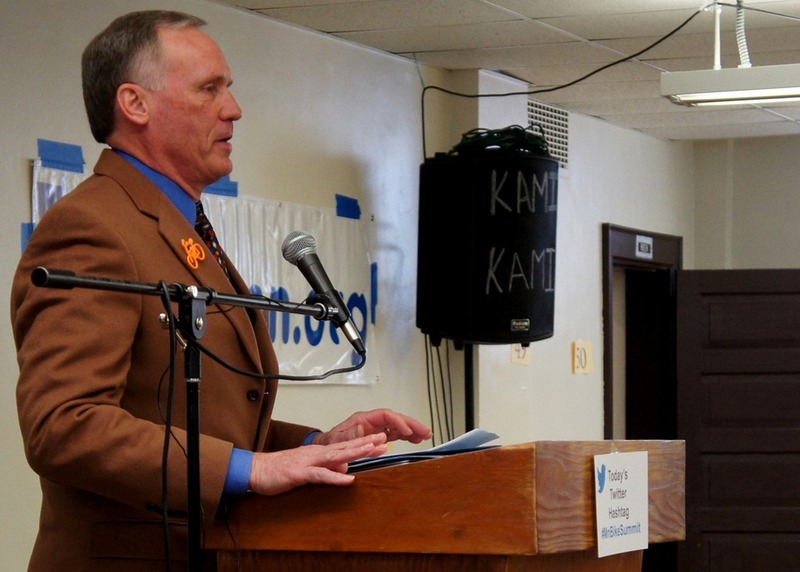 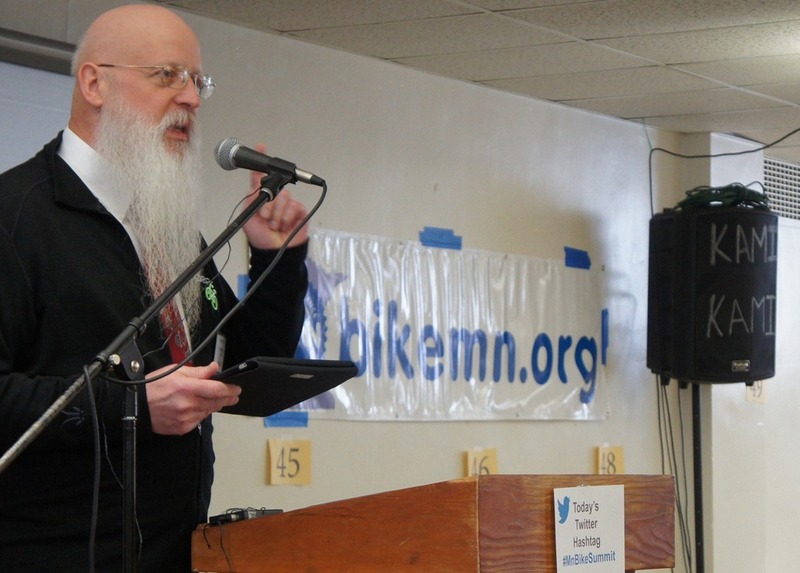 I attended the Bicycle Alliance of Minnesota‘s (BikeMN) third annual Minnesota Bicycle Summit on Capitol Hill yesterday, as I’m trying to get smarter about the state of bike advocacy in Minnesota and who the players are. 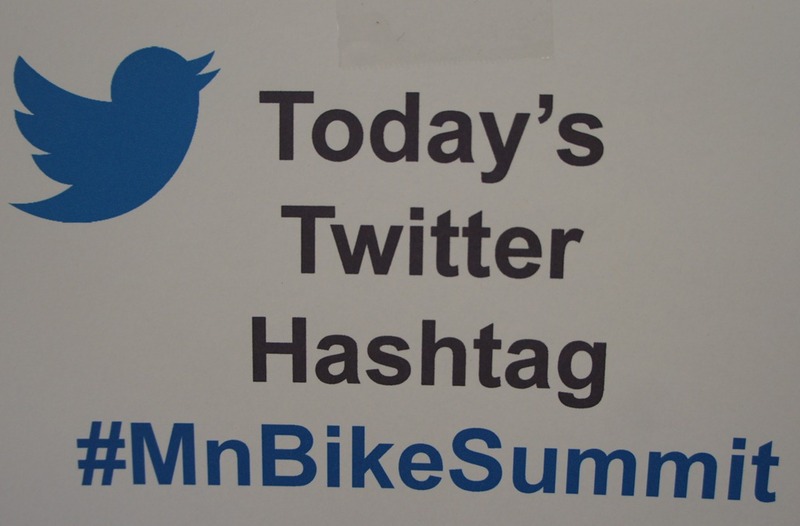 I became a BikeMN member a couple weeks ago and am impressed with all that they’re doing and how well-organized yesterday’s Summit was. 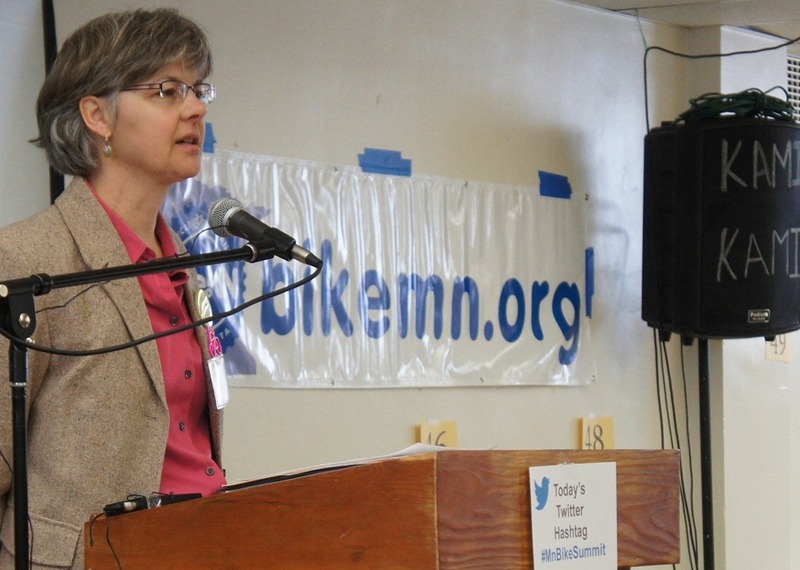 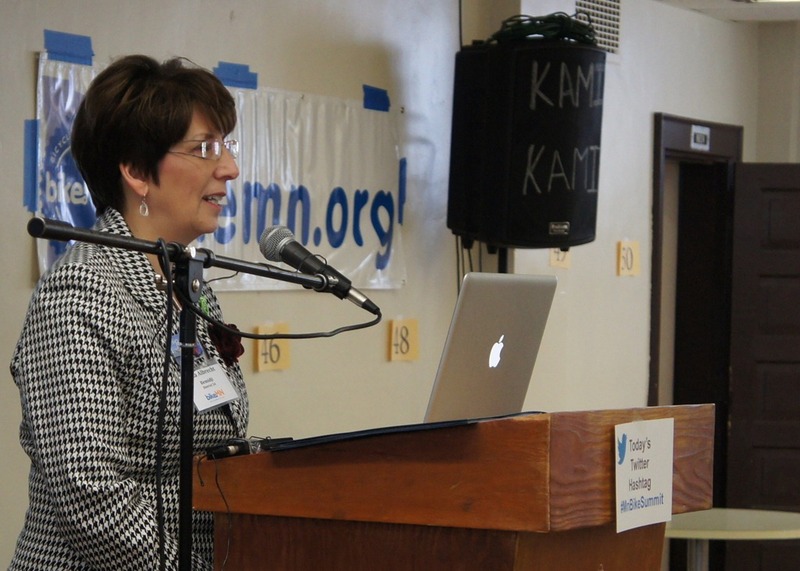 Bemidji Mayor Rita Albrecht (@BemidjiRita) was one of the featured speakers, talking about Bemidji’s new designation as a Bike Friendly Community. 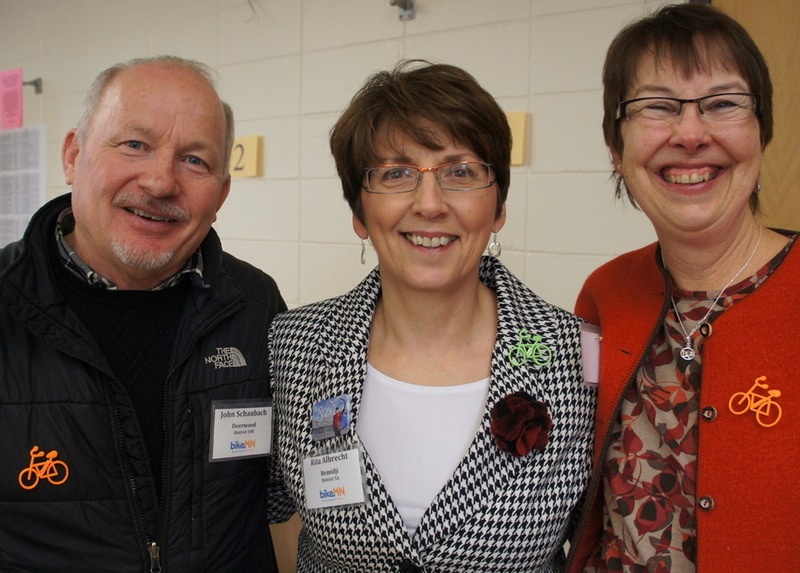 I’ve crossed paths with Rita recently in my consulting work so I was pleased to introduce her to two of my Cuyuna Lakes Mountain Bike Crew (CLMTBC) pals, John Schaubach and Jenny Smith. 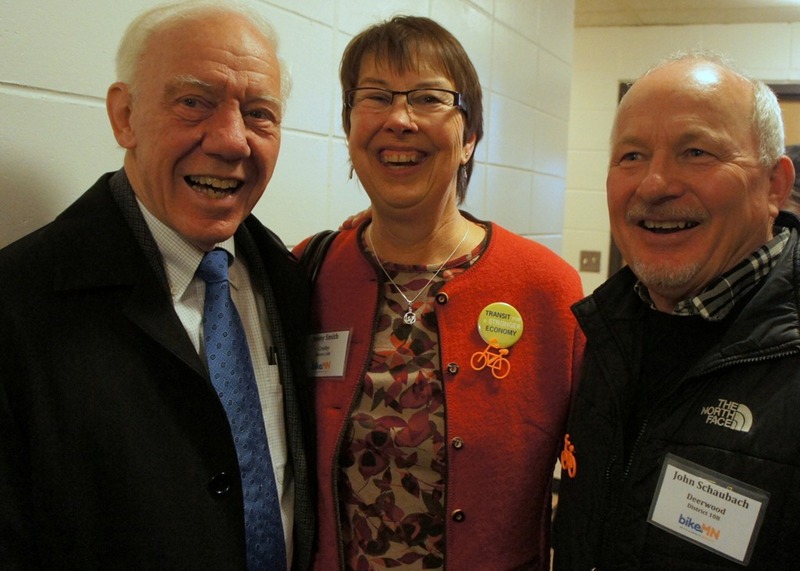 I was also pleased to get a photo of former 8th District Congressman Jim Oberstar with Jenny and John as they were preparing to head over to the Capitol Rotunda for his keynote. 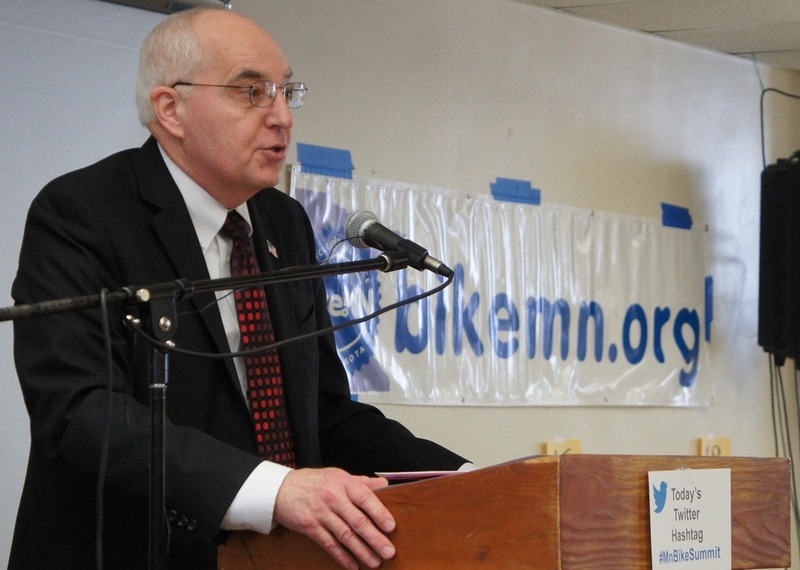 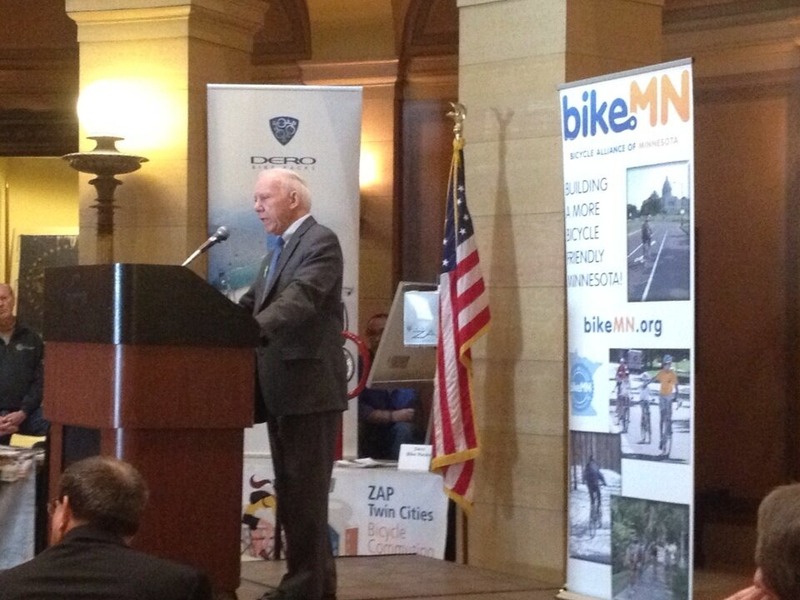 When Oberstar was chair of the U.S. House transportation committee, he helped secure $700,000 in federal funds for the creation of the Cuyuna Lakes Mountain Bike Trails (CLMTBT). 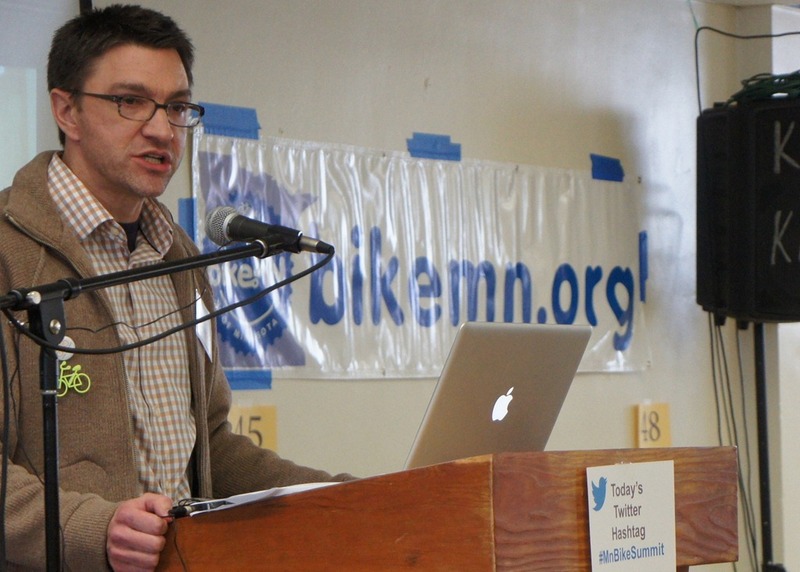 See this June 2011 article by Brett Larson in Silent Sports magazine, Cuyuna Lakes Reclaimed, for more on the role that Jim, John, Jenny and many others played. 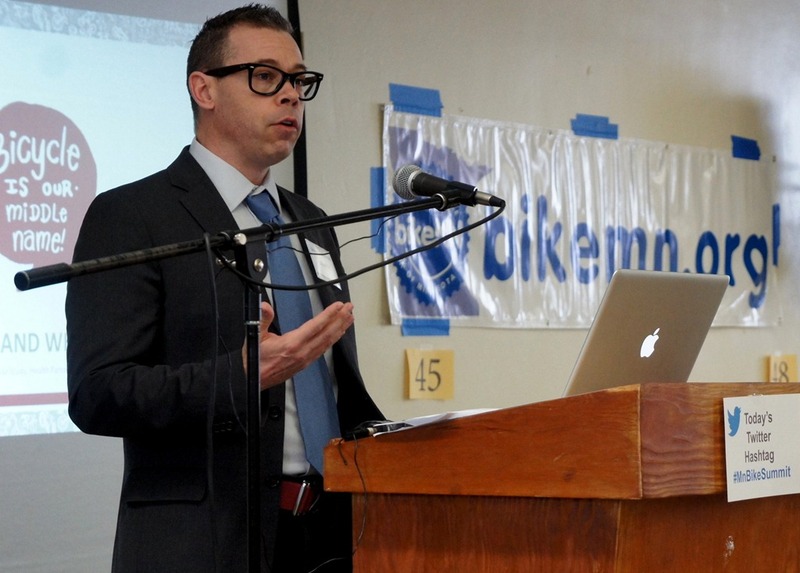 It’s a marvelous story of how the organic process of bike advocacy can work.